About Open Ears: So many people who made invaluable contributions to classical music were underappreciated in their time, or have been nearly lost to history. That’s why KUSC is starting Open Ears, a series of stories about composers, musicians, and conductors who deserve more recognition. You can learn more and explore other articles here. Florence B. Price, the first African American woman to have a symphonic work performed by a major orchestra, is having a moment. I think there’s a good chance that moment will stretch into decades. Her music–largely unheard since her death in 1953–is constantly surprising: the sound world of Wagner and Dvorak infused with quirky changes of mood and pace, striking combinations of instruments and the unmistakable roots of her Southern heritage, the strains of gospel and Juba. Price was born in Little Rock, Arkansas in 1887. She attended the New England Conservatory, one of few prestigious music schools of the era to admit Black students. 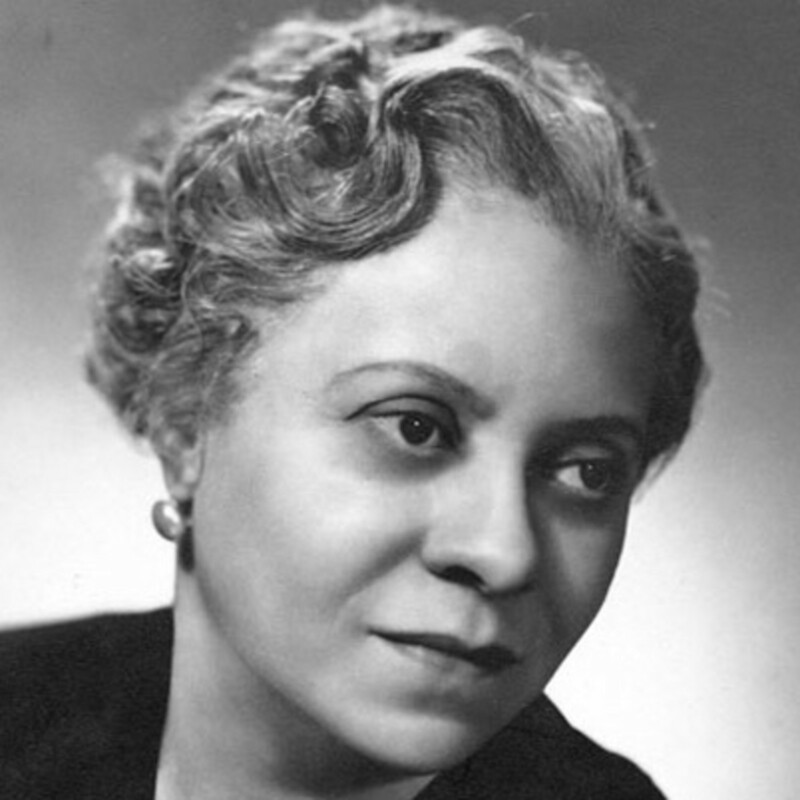 To escape the rampant racism of her native state, she moved to Chicago, where she intensified her musical studies and began to blossom as a composer of songs, piano pieces, and eventually four symphonies and other orchestral scores. In fact, it was conductor Frederick Stock and the Chicago Symphony that gave that historic performance of Price’s First Symphony in 1933. Though all this, she was also raising children and dealing with a messy divorce. In his just-published New Yorker article about the composer, Alex Ross refers to “the shocking neglect of Price’s legacy.” He quotes her letter to a prominent conductor, Serge Koussevitzky, in which she refers to her “double handicaps”–her gender and her race. Koussevitzky ignored her request to consider performing one of her scores. But the tide is turning. A superb recording of Price’s two violin concertos is just out, including the riveting Violin Concerto No. 2, played by soloist Er-Gene Kahng with the Janáček Philharmonic Orchestra conducted by Ryan Cockerham. Kahng teaches at the University of Arkansas, where most of Price’s manuscripts are collected. Here’s a live performance of Price’s Third Symphony by the Yale Symphony Orchestra, recorded in October 2016 at Woolsey Hall. Toshiyuki Shimada conducts. As these performances and recordings of the music of Florence B. Price become more frequent, and as women composers in general gain traction in the concert hall, perhaps we’ll finally have the chance to assess Price’s legacy. That’s hard to do amid the sounds of silence. Gail Eichenthal is Chief Engagement Officer for the USC Radio Group, which includes KUSC Los Angeles and KDFC San Francisco. She oversees community engagement, live concert broadcasts, and contributes arts features to KUSC Out & About. You can hear her on KUSC Sundays 4-6pm. A graduate of UCLA in music and English, Gail began her association with KUSC as Abram Chasins Intern in 1976, joining the staff the following year. She began her 20-year association with the LA Philharmonic in 1978, becoming the first woman to host the national radio broadcasts of an American orchestra. From 1994-2005, Gail expanded her career into broadcast news and was a staff reporter and news anchor at KNX-AM, the CBS news station in Los Angeles. At KNX, she picked up many awards, including 12 Golden Mikes. As a print journalist, Gail has written for the LA Times and Symphony Magazine and she’s a regular contributor to the KUSC Out & About blog. Gail is a director of the Colburn Foundation, a member of the USC Thornton Mentorship Program, and sits on the advisory boards of the LA Chamber Orchestra, Street Symphony and Jacaranda Music.